We’re Green at NO Extra Cost to You. 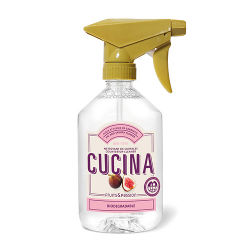 If baking soda and lemon juice aren’t your thing but you’d still like to avoid cleaners with a) mysterious chemicals you can’t pronounce and b) warning labels that cover half the bottle, then you’ll appreciate the products we use to clean. Why it’s good: Bottles are made from 100% recycled plastic, ingredients are taken from renewable plant-based materials, no animal testing, 100% people and pet friendly, and B Corp certified. Products: Product line ranges from household cleaners (multi-surface, bathroom, floor, wipes, and dish) to laundry detergents to hand and body wash… and even baby products. Why it’s good: Products, batches, and formulas are third-party reviewed by Berg Environmental, Content Verified, and the EPA’s Design for the Environment. Ingredients are made from natural extracts, biodegradable, non-toxic, non-corrosive, non-flammable, non-reactive, and non-carcinogenic. 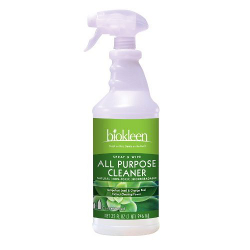 Products: Biokleen offers products ranging from laundry detergent to multi-surface cleaners and degreasers that utilize active enzyme cultures. They also have a line of soy-based products, a first in the green cleaning industry. Why it’s good: Their products are Green Seal certified and contain higher-than-average levels of non-toxic active ingredients, making them stronger than other green products on the market. They use a biodegradable organic acid solution which is non-irritating, hypoallergenic, and safe for use around all humans. 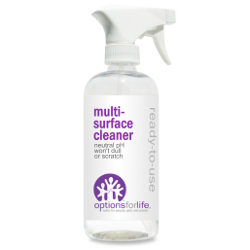 Products: Options offers professional grade green cleaning products as well as household cleaners like disinfectants, surface cleaners, floor finishes and cleaners, and deodorizers. They also offer lower-cost concentrate sets that you simply add water to. 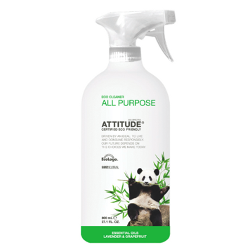 Why it’s good: Attitude products are Eco-Friendly certified, biodegradable, non-toxic to humans and animals (including aquatic animals), made from renewable plant-based resources, and carbon neutral (all of the greenhouse gas emissions related to the products and the company are analyzed, and then either reduced or compensated for). Products: Air purifiers, dishwasher detergent, all-purpose surface cleaners, laundry detergent, hand soap, and even baby diapers. Why it’s good: Shaklee’s “Get Clean” line of products are made from sustainably-sourced, biodegradable, natural ingredients; contain no VOCs; are non-toxic; not tested on animals; and packaged in 100% recyclable materials. Products: Their products are typically sold in concentrate form and include laundry and dish detergent, surface cleaners, disinfectant wipes, scouring paste, and water filters. They also have “healthy home” cleaning kits and starter packs. Why it’s good: There are no solvents, no petroleum distillates, no bleach, no phosphates, and no harsh fumes. All packaging is recyclable and made from 25% post-consumer recycled materials. Products are not tested on animals and do not contain animal-derived ingredients. Whenever possible, materials are obtained from renewable plant resources and all liquid products are biodegradable. Safe for use around children, pets, and pregnant women. Products: Surface scrubs, wipes, and sprays; toilet bowl cleaners; bath and shower; dish, dishwasher, and laundry detergents; glass cleaners; and air fresheners. Why it’s good: Each product has a minimum of 90% natural plant-based ingredients, is biodegradable, ammonia and phosphate free, contains no animal-derived products (and is not tested on animals), and is packaged in 100% recyclable materials. 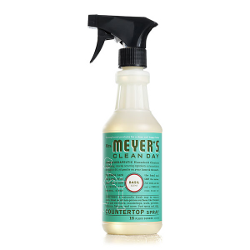 Products: Countertop, glass, and multi-purpose cleaners as well as dish soap. Why it’s good: Eco Concepts has seven third-third party certifications(including U.S. EPA Design for the Environment, Green Seal, U.S. Green Building Council, and PETA Cruelty-Free, amongst others); is made entirely of readily biodegradable components; contains no carcinogens, sensitizers, teratogens or mutagens; has low or no toxicity to human and aquatic life; is made from renewable ingredients; and contains no phosphates, NTA, chlorine bleach, or harsh solvents. 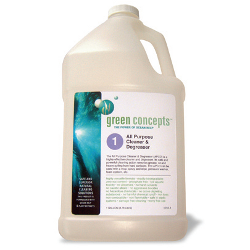 Products: EcoConcepts offers janitorial, automotive, and marine care products as well as household cleaners (such as bathroom, kitchen, and stain removers). 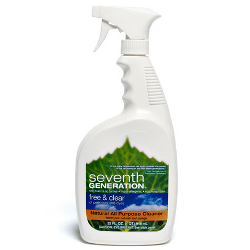 Why it’s good: Beyond their certified, non-toxic products, Seventh Generation is pushing for real social change through their complete transparency and involvement with coalitions and institutions dedicated to positive change. Products: They offer a complete line of non-toxic household products, including: non-chlorine bleached, 100% recycled paper towels, bathroom and facial tissues, and napkins; non-toxic, phosphate-free cleaning, dish and laundry products; plastic trash bags made from recycled plastic; chlorine-free baby diapers, training pants, and baby wipes; and chlorine-free feminine care products, including organic cotton tampons. 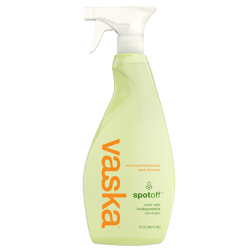 Why it’s good: Vaska uses advanced botanical solutions derived from herbs and is U.S. EPA Design for the Environment Certified. 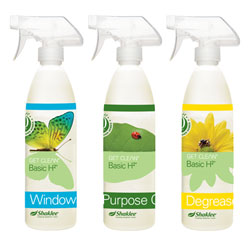 All products are non-toxic (for humans, animals, and aquatic life) and environmentally safe. Their containers are made from 50% post-consumer recycled materials. 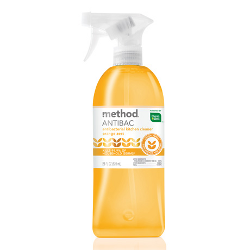 Products: Laundry detergent, fabric softeners, and spot cleaners. 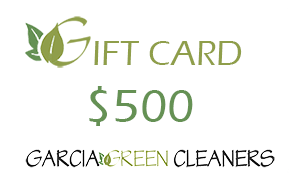 Garcia Green Cleaning means we use methods and products with environmentally friendly ingredients designed to preserve human health, pet health and environmental quality. 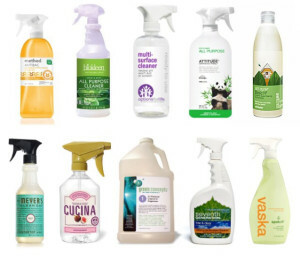 Our green cleaning techniques and products avoid the use of chemically reactive and toxic products which contain various toxic chemicals, some of which emit volatile organic compounds causing respiratory, dermatological and other conditions. We’re looking out for you and yours; and so should you!